In this corner: Bodied. The flashy, frenetic movie about a freckly ginger who becomes a battle-rap star. The scorching satire that pummels audiences with questions and provides little in the way of answers. The two-hour cringe-fest that makes you laugh hysterically and then immediately makes you feel bad about it. And in this corner: all of us. The mainstream public. The police of political correctness. The judges and juries who decide what’s offensive (usually, almost everything) and what’s not. Are we really ready for a movie like Bodied? Doesn’t matter — it’s coming, and it wants to make you squirm. A lot rides on the white person in question. In 8 Mile, Eminem’s Jimmy was a native Detroit punk; he wasn’t so much a tourist in the grimy battle rap world. The opposite is true of Bodied‘s protagonist, Adam, a pasty grad student studying English and poetry at Berkeley. Adam is fed up with the competitive wokeness of his academic bubble and finds release in the deliberately insolent world of battle rap, where filters don’t exist and anything goes. When he discovers how improbably skilled of a wordslinger he turns out to be, his callowness and cockiness threaten everything: his relationship with his feminist girlfriend, his friendships, his academic future. But he doesn’t really seem to care, so long as he keeps winning battles. And, more improbably — or not, considering he’s basically been weaponized as an academic wordsmith — he does win plenty of battles, once he realizes that the more shocking and tasteless his words are, the more he satisfies the crowd and comes out on top. Bodied was partially inspired by the dust-up over cultural appropriation in Taylor Swift’s “Wildest Dreams” video, which Kahn directed. His initial idea was to make a film that revolved around social-media landmines, but after realizing such a screen-centric story “would be the most boring thing ever,” he decided to frame it through the more dynamic lens of battle rap. 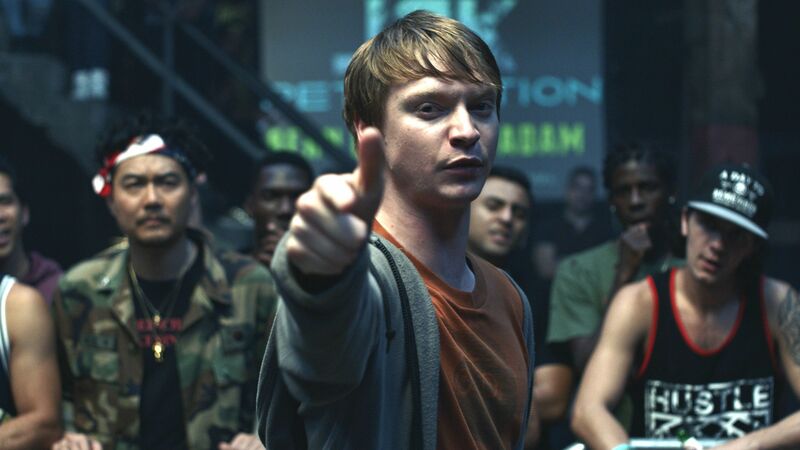 Adam, too, learns by the end of Bodied that saying what you want has consequences (not to mention: who says them, and to whom, is also of consequence). As Worthy says, it’s a timely-as-hell commentary about “freedom of speech versus ‘where is the limit? '” The reason the film resonates so strongly is not just because it channels the hostility that suffocates the way we interact with one another online, but because it’s hard to watch without seeing yourself in a flawed character like Adam and forcing you to examine your own stereotypes. Thankfully, there’s also plenty for you to laugh at. And that, ultimately, is what may make Bodied worth the uncomfortable watch. After all, why shouldn’t we be able to have a dialogue about ethics, labels, and cultural appropriation that’s fun? Bodied is in select theaters now and releases on YouTube Premium on November 28.